The Salesforce Transit Center is still closed as of Wednesday morning, and Fremont Street between Howard and Mission streets remains closed. "We're encouraging people not to drive in the downtown area," Muni spokesman Paul Rose said Wednesday. "We anticipate because of the Fremont closure and the Howard closure that traffic will be very bad in that area." Muni and AC Transit are sending their transbay buses to the temporary Transbay Terminal at Howard and Beale streets. That includes 27 AC Transit Lines, four Muni bus lines, and four Golden Gate Transit bus lines. Meanwhile, Transbay Joint Powers Authority officials say they are inspecting all steel beams throughout the center. They say the crack in the beam appears to be localized, and they closed the center out of an "abundance of caution." Original Post: San Francisco officials are temporarily closing the city's brand new $2.2 billion Salesforce Transit Center after crews discovered an issue with one of the steel beams in the ceiling. 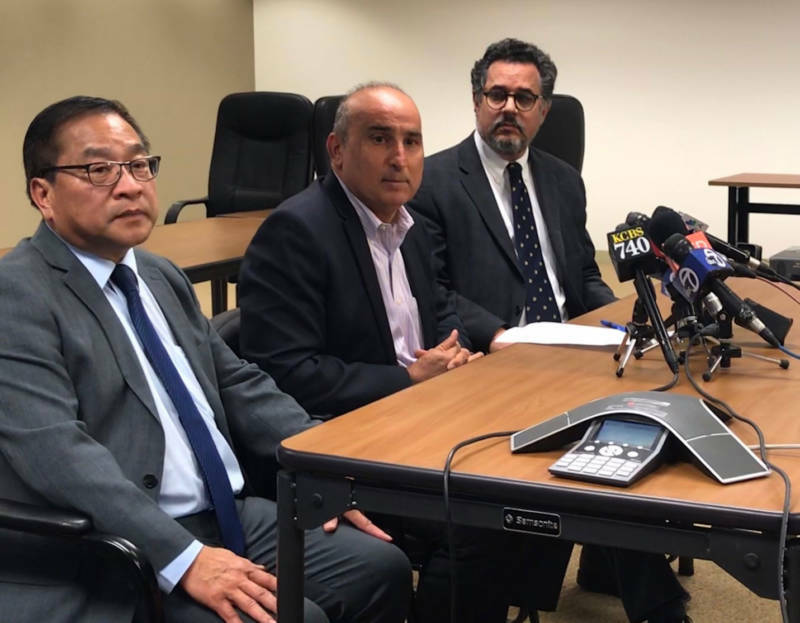 In a statement, the Transbay Joint Powers Authority said the agency is working with experts to investigate and repair the issue. They are also inspecting other beams throughout the center. Officials say the transit center will remain closed until Wednesday morning, at least. All transit operators will provide bus service out of the nearby temporary Transbay Terminal at Howard and Main streets until inspections are complete. Transbay Joint Powers Authority Executive Director Mark Zabaneh said workers discovered the crack around 10:00 a.m. while replacing roofing tiles. He said engineers spent the day inspecting the damage and decided to shut the station down around 5 p.m., just as the afternoon rush hour started. "The beam is cracked," Zabaneh said. "The behavior of the beam is unpredictable." Zabaneh said the crack was found near a weld on a stress-bearing horizontal beam. He said he did not know how long the crack was, but he told reporters that American steel was used in the center's construction. Zabaneh said the cause and the extent of the damage were unknown and the decision to close the terminal was made out of an "abundance of caution." "It's very disappointing that we have this," Zabaneh said. "It's very disappointing for us, for building ... being responsible for building the transit center. And very disappointing we have to inconvenience the public. But it is a safety issue and we take it seriously and can't take any chances." 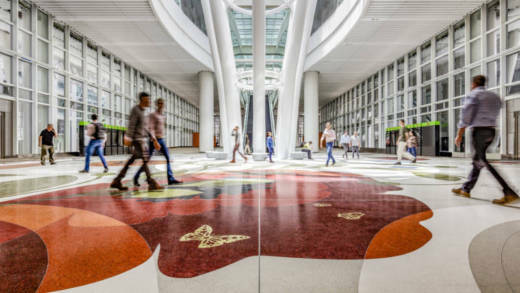 Coined the "Grand Central of the West," the Salesforce Transit Center opened in August after nearly a decade of construction. It was expected to accommodate 100,000 passengers each weekday, and up to 45 million people a year. Buses were rerouted to a temporary transit center two blocks away that was used during the center's construction. A downtown street that runs under the beam was also ordered closed indefinitely, causing traffic chaos at the same time some streets were closed for a conference sponsored by Salesforce that was expected to draw 170,000 attendees. The project, a commanding presence in the city's South of Market neighborhood, is financed by land sales, federal stimulus grants, district fees and taxes, bridge tolls, and federal and state funds. The transit center sits adjacent to another dubious landmark, the so-called sinking condominium, Millennium Tower, which has settled about 18 inches since it opened over a former landfill in 2009. Homeowners have filed multiple lawsuits against the developer and the city, some alleging that construction of the transit center caused the Millennium Tower's sinking. Zabaneh said he did not believe that the cracked beam was related to ongoing problems at Millennium Tower. This post includes reporting from Associated Press reporter Paul Elias.